The animosity between the governments of Israel and Iran is significant. Iranian Ayatollah Ali Khamenei once compared Israel to a cancerous tumor which should be “cut-off.” President Mahmoud Ahmadinejad has said Israel would be “eliminated,” and that the country has no roots in the Middle East. Israel has drawn a line in the sand and is threatening preemptive action to prevent an Iranian nuclear capability. Two people from their respective countries, however, are engaging in peer-to-peer diplomacy, putting aside hostility. 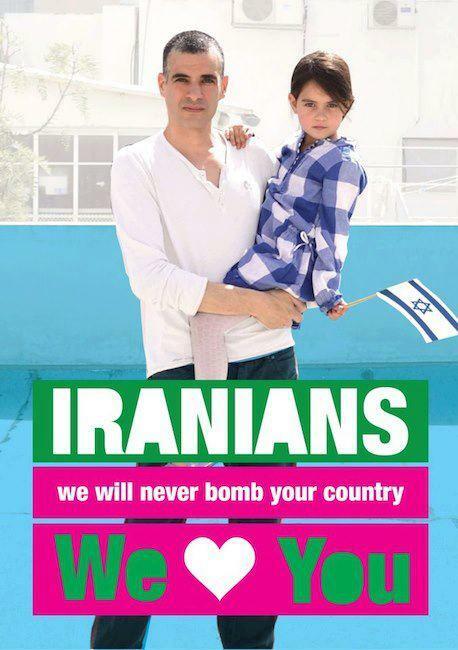 The original photo posted by Ronny Edry, a graphic designer and teacher from Israel, about a year ago. Iranian Majid Nowrouzi was one of the first to respond in-kind to Edry’s Facebook post. Both Edry and Nowrouzi and their families met for the first time yesterday, turning a virtual meeting into a face-to-face exchange. They were our guests on "St. Louis on the Air:"
Edry is receiving the Euphrates Institute’s Visionary of the Year award and will deliver the keynote address at Principia College’s Public Affairs Conference on Friday night.